Just when you think you’ve heard everything, something like this comes along. The remnant of the caravan of destitute nomads who traveled from Honduras, through Mexico, to the US border at Tijuana, intending to enter the United States legally or illegally to apply for economic asylum (which doesn’t exist), is now making demands of the US government. 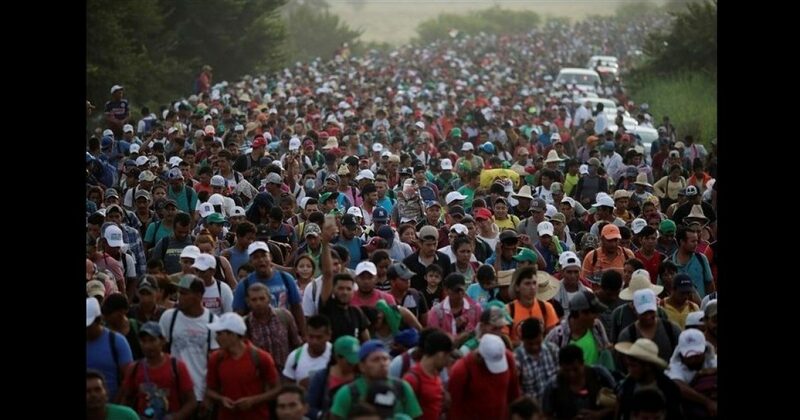 Finally coming to the realization that President Trump isn’t going to simply allow them to invade the United States, the group has resolved to present an ultimatum to the US government – either let them enter the United States or pay each migrant $50,000 to go home. Such a deal! I have become sick of liberals screaming that this caravan is only a few thousand people who are escaping violence. No, they are not! They have made it clear that they are intent upon invading the US for economic opportunity. The United States provides for “political asylum,” not “economic asylum,” which does not exist. And, dear, blind liberals, it is not the few thousand in the now-scattered caravan that is the problem. The problem is the many millions who will surely follow if we do not stop this group from succeeding in its declared mission of invading the US by whatever means necessary. The people of the United States have been asked to provide for millions of illegal immigrants already, to house them, feed them, provide them with health care and educate their children, and pay for it all ourselves, while they cruise about the country in lowriders proudly displaying the flags of their native countries. Enough! ‘Tis the season and all, but We the People are NOT Santa Claus! What has the US stolen from Honduras? Bananas?